The dates are as I previously posted - Thursday to Sunday, June 24-27, 2010. 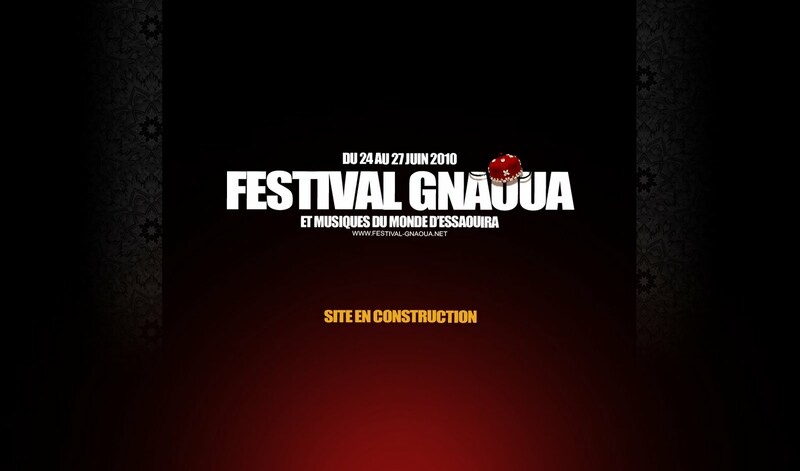 I've been in touch with the Festival organisers and am pleased to announce that the 13th Essaouira Gnaoua and World Music Festival will be held Thursday to Sunday, June 24-27, 2010. 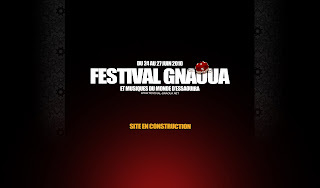 The official festival website at http://www.festival-gnaoua.net is still showing the 2009 dates, and almost none of the links there work, but I'm sure that they will sort that out before too long. The line-up and the updated website are usually posted until late-May/early-June, but they usually update the banner image with the dates round about now. If any of you need to books flights or hotels, and want to confirm the dates, I suggest you call A3 Communications (contact details on the festival web page). If you can't wait until June and need to hear some gnaoua music right now, you'll find plenty on the playlists here or over on my YouTube channel.